Fellow Fanatics, Start Your Engines! Pacific City, Ore. (August 9, 2017)—Who knew!? 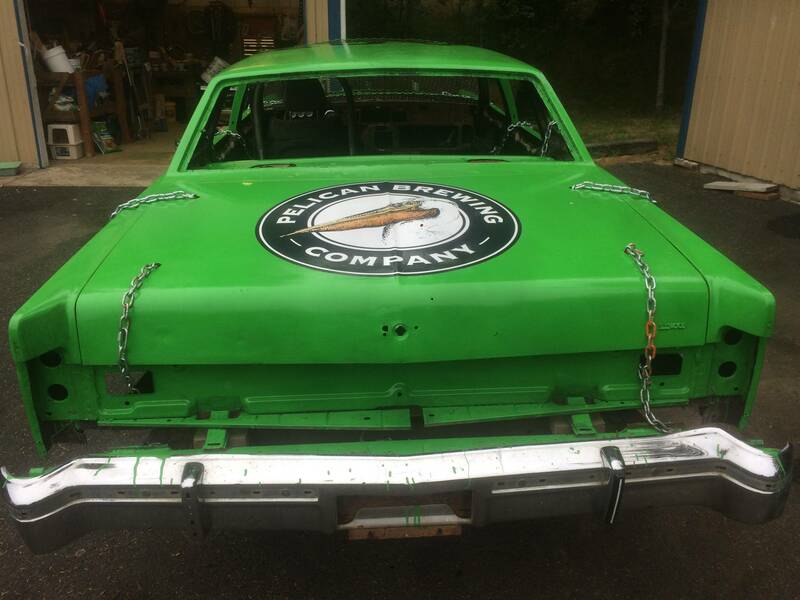 Pelican Brewing Company’s highly-decorated brewmaster has another passion: classic car collecting and tricking out cars for demolition derbies! 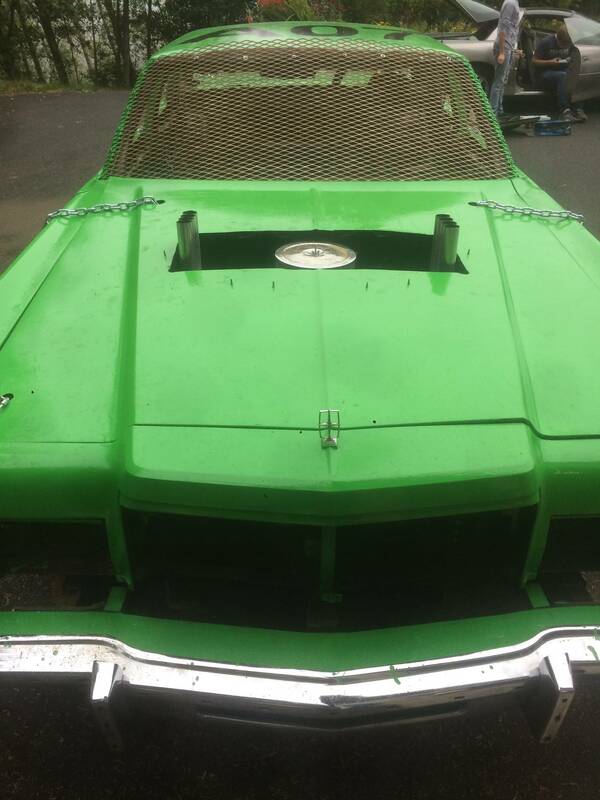 Pelican will sponsor Darron Welch and his entry this weekend in the Tillamook County Fair Demolition Derby—a 1976 Lincoln Continental tricked out in Pelican Umbrella IPA lime green. The Tillamook County Fair Demolition Derby typically caps fair festivities for event goers and starts at 7:30p this Saturday, August 12 in Tillamook at the fairgrounds. This is the second year Pelican has entered a vintage ‘ride’ in the popular community event. 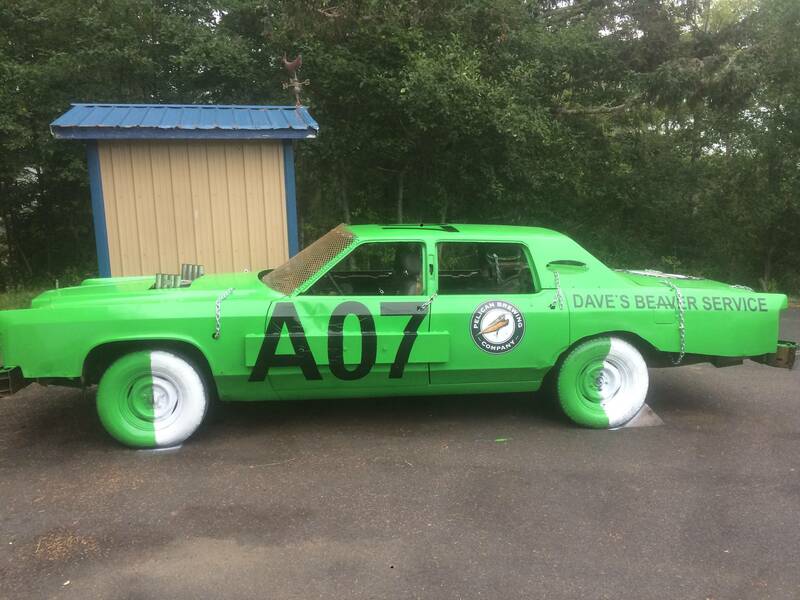 The Pelican entry is also sponsored by Dave’s Beaver Service, a local automotive shop in Beaver, and Barclay Heating and Sheet Metal in Tillamook. “Our land yacht weighed in at 5,300 pounds when it rolled off the lot in 1976 so we’ve got mass on our side—I mean it’s a hammer!” said Welch, founding brewmaster at Pelican Brewing Company. “I’ve always been a car guy and I thought for years it would be a real kick in the pants to do something like this, get my kids involved and participate in one of our largest community events. This is small town rural America—a perfect way for Pelican to really show support for the fair and our community. 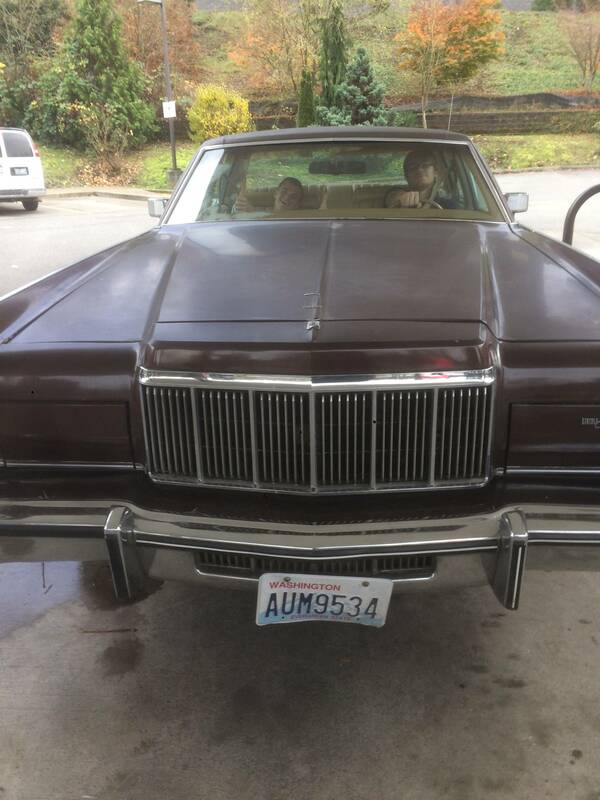 When Welch isn’t brewing some of the most decorated brews in Oregon, he’s busy modifying and tuning up sporty vintage classics like a 1972 Skylark he owns with his eldest son. Pelican, which was born at the beach, is keen on contributing to the local community in which it does business. In addition to sponsoring the Pelican Demolition Derby car, they are a major sponsor of the county fair and consistently sponsor and provide support to regional events and initiatives. The Lincoln Continental the day Darron and his boys drove it off the lot. How things have changed! Good luck, Darron!